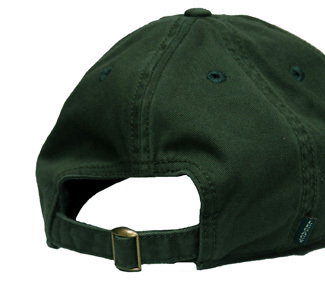 Legacy brand relaxed fit 100% premium washed cotton twill ballcap. 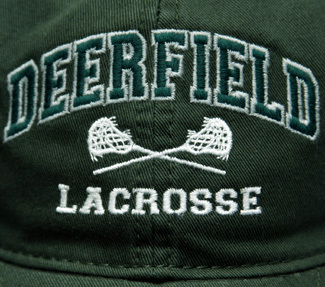 Green with DEERFIELD and LACROSSE embroidered with crossed sticks logo. Unstructured low profile fit. 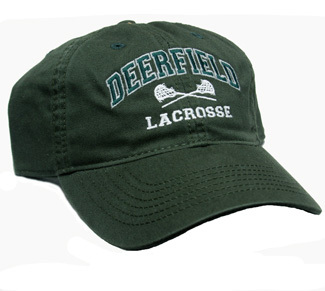 Full top-stitching, self-fabric sweatband and taping, and a premium, hi-density visor board. Adjustable fabric strap with antique brass slide buckle. Once size fits most. These caps are excellent - good quality and value for the price. Please consider selling in white, as well, and expanding the array of sports to include Cross Country, Track & Field and Skiing! Also please consider selling caps made by New Era [particularly the official baseball team caps], Under Armour, and The Game [classic three-bar style]. Thanks!